A big breakfast on Sunday morning before exercise. Served with egg and coffee. Combine flour, egg, melted butter and salt in a large mixing bowl. Gradually add the milk, and the water, whisking to prevent any lumps. For sauce, combine the butter, sugar, orange juice and peel in a skillet. Bring to a boil; remove from the heat. Add bananas to orange sauce; cook over medium heat until heated through, about 1 minute. Heat a 12″ nonstick skillet over medium heat. Add butter, then pour in about 2 tablespoons of the crepe batter, swirling and tilting and the pan so that the batter coers the entire surface with a thin film. Cook the first side of 1-2 minutes, until the bottom takes on a deep brown color all over. 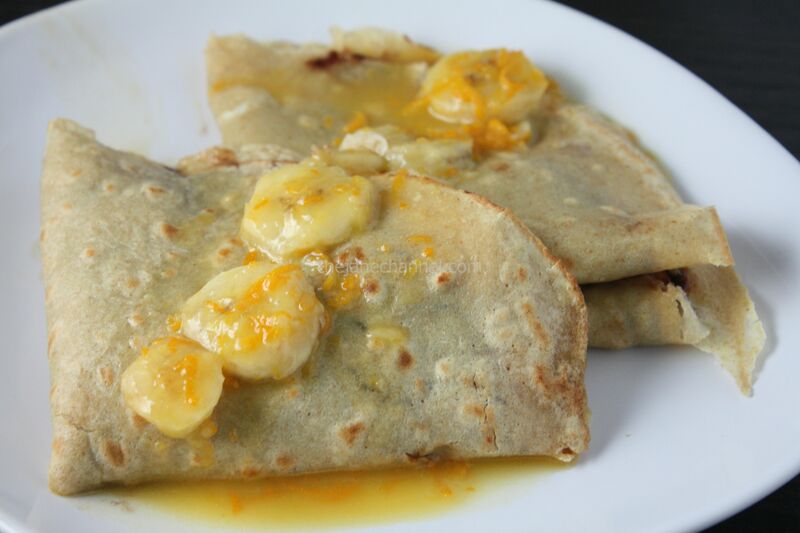 Flip the crepe and spoon in some chocolate chips and sliced banana from the orange creme sauce. 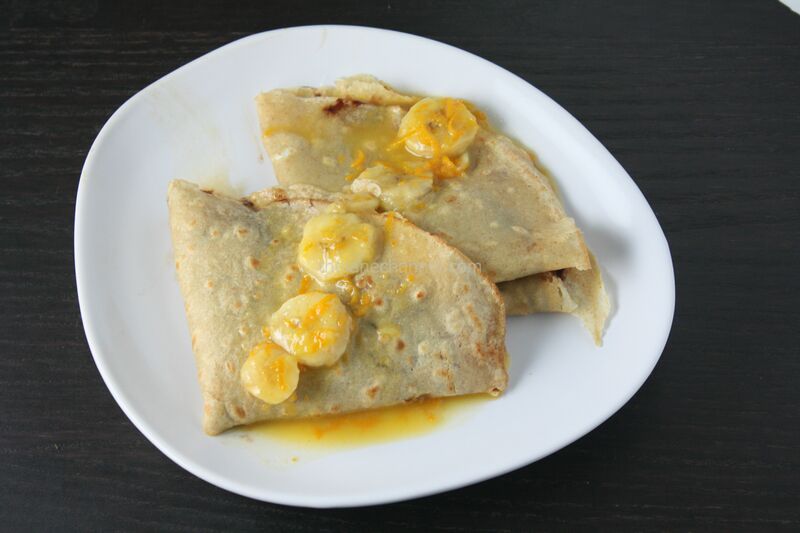 Fold the crepe over the stuffing and drizzle with orange sauce.